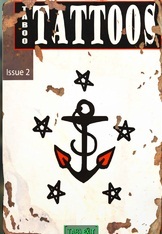 There are a total of 5 unique facial tattoos can earn through the collection of Taboo Tattoos issues. With the set of "Taboo Tattoos" magazine you unlock free unique facial tattoos, which can "beautify" your game character. However, unlike magazines like Grognak the Barbarian or Tesla's research you get no new skills from Taboo Tattoos. To get the new facial tattoos done, you must visit the surgeon Doc Crocker in Diamond City. More can be found in our guide to the barbers and surgeons in Fallout 4. Below we show you the locations of all five Taboo Tattoos issues. The first issue can be found right at the start of the game, directly east of the Sanctuary at the quarry Thicket Excavations, on the desk in a caravan. In Concord, there are several ways to get this magazine. In addition to the local self-Pulowski shelter is the Civil Access. Get inside and then again to the left. Then you will find the tattoo magazine. This magazine is located in the Irish Pride yard just north of Bunker Hill on the other side of the river. The issue lies on a table of the ship in the large hangar. You can find this magazine at the hair salon in Vault 81 west of Diamond City. Take the elevator down and then go down the stairs in the atrium and then directly to the left. You will find the last tattoo in the West Tunnel of Mass Pike Slightly southwest of Diamond City. There, the magazine is in an extended tipped box on the floor.